Q. 75. 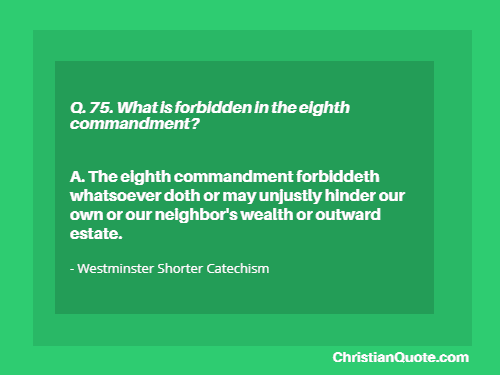 What is forbidden in the eighth commandment? A. The eighth commandment forbiddeth whatsoever doth or may unjustly hinder our own or our neighbor’s wealth or outward estate.